If you’ve ever accidentally deleted pictures from your digital cameras memory card, you’re not alone. That feeling of dread when you forever lose photographic evidence of memories and experiences in digital form can sometimes be resolved though – so don’t freak out quite yet! 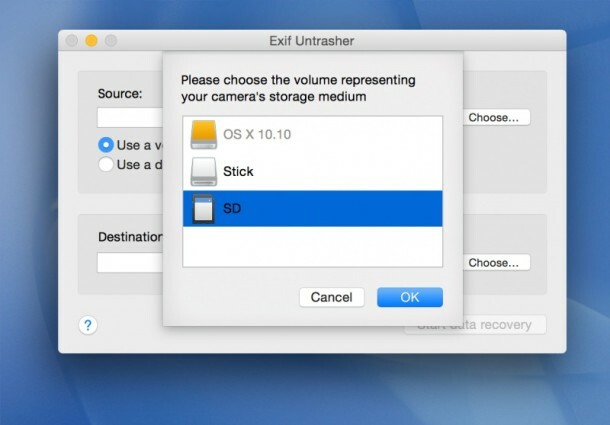 Using an excellent free tool called Exif UnTrasher, Mac OS X users can attempt to recover deleted images from memory cards, USB drives, and other volumes, and it works pretty well as long as you can mount the volume, card, or drive that the pictures were deleted from. There are a few caveats; it only works with JPG (JPEG) files, you have to be able to mount the digital cameras memory card as a volume on your Mac (or the drive itself), which some cameras can do but others can’t. If your camera doesn’t support mounting of media, you can always just use an external card reader which works just as well. Or, for Macs that have the internal SD card readers built-in to them, you can plug the memory card into that and it will probably work too. The other important thing? Time. 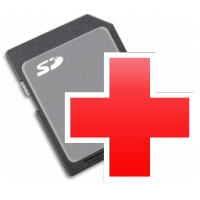 If you deleted pictures from a memory card or volume, stop writing to the memory card or drive immediately, and start the process of trying to access those files immediately using a tool like ExifUnTrasher. So, Exif UnTrasher is not a miracle worker, but in our test it recovered all images that were taken before a ‘Quick Format’ on a Canon digital camera, so I imagine the success rate depends largely on how the images were deleted from your memory card. Try it out, it’s free, it certainly won’t hurt anything, and it’s got a pretty good chance of working to get your deleted images back! By the way, if you’re wanting to recover photos from an iPhone, you can often do that directly on the iOS device. Likewise, if you import your pictures into Photos for Mac and are now trying to undelete pictures from the Photos app in OS X, you can do that too, and directly from Photos app with a built-in Recovery feature. It works different from this app though, and is limited to Photos libraries only. 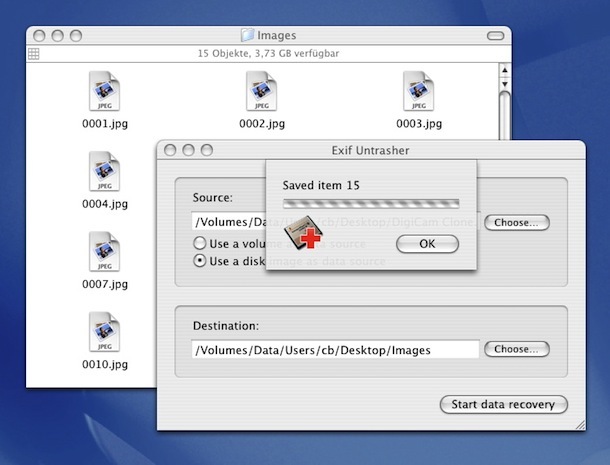 Exif UnTrasher is a nifty app found from LifeHacker, and it has been a memory-saver for many users. Cheers to them for the discovery, and a big thanks to the developer of ExifUnTrasher for creating such a great app. The app works in nearly all versions of Mac OS X, from Snow Leopard, Mavericks, Mountain Lion, OS X Yosemite, El Capitan, and presumably beyond. I am one of the victim of these, I always forgot to have back ups of my pictures and it sounds so irritating sometimes that all the photos are lost. hey did this software work for digital camera? is it a full version or trial?